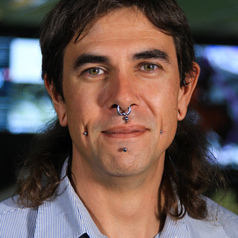 Jonathan completed his Bachelor of Science (Space Science) at La Trobe University in 2006, followed by a Certificate of Meteorological Observations at the Bureau of Meteorology in 2007, and has worked for the Bureau ever since. His first role was as a weather observer then as a climatologist, starting in the warm tropics of the Northern Territory followed by a cool change to Victoria before joining the national Climate Monitoring and Prediction team in 2014. The Bureau of Meteorology is Australia's national weather, climate and water agency. The Bureau contributes to national social, economic, cultural and environmental goals by providing observational, meteorological, hydrological and oceanographic services and by undertaking research into science and environment related issues in support of its operations and services.